I can't believe I've never reviewed this. Maybe I have and I just can't find it. But if I can't find it I'm worried that you won't be able to and well, it's a great product. I was sent it when it first came out which is why I'm so surprised that it never made it onto the blog though may go someway to explaing way Collection don't send me things anymore. My bad. I recommend the Lasting Perfection concealer a lot because I feel that I seem to be asked about overspending more and more. People spend an awful lot of their money on products that disappoint and with the increased interest in beauty this is only getting worse. And though I love the Clarins Instant Concealer - I don't use it every day. Why should I? I need something quick, easy and cheap that I can slather on in the 2 minutes I get between one of the kids crying, peeing or selfishly needing to be taken somewhere. 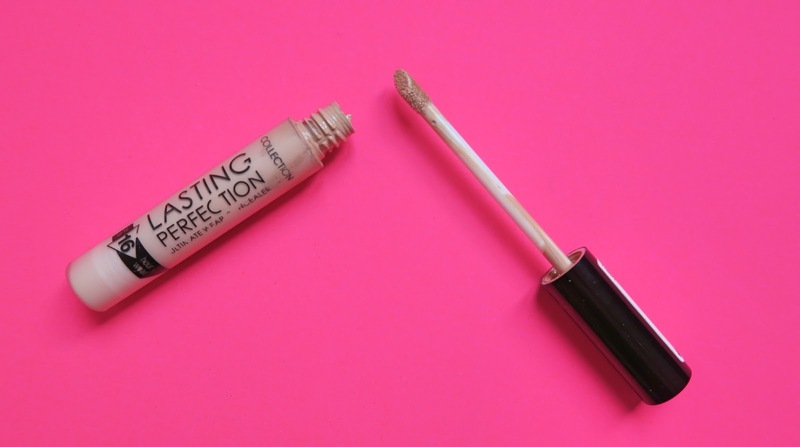 So more often than not I'll use Collection Lasting Perfection Concealer and this is why. 1. Coverage - for the price, and indeed for any price, the coverage on this concealer is pretty amazing. 2. Price - this is an incredible price. 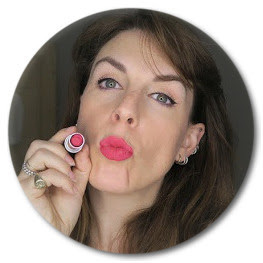 I always encourage people to spend to suit their products and though my absolute favourite product is nearly 5 times as much as this if I had to cut back on something this would be the concealer I'd go for. 3. Application - does foot applicator makes this easy to just dot on where you need it and blend with either your fingers or a brush. It doesn't sit in wrinkles and blends well with a buildable coverage should you need it. Apply after foundation or just on it's own on moisturised skin. 4. Longevity - lasts as long as most good concealers, longer than some and if you set it with a powder, well, it should be there all day. 5. Ethics - Collection is a UK brand that is cruelty free (including not being sold in China) though it can't confirm all of it's ingredients haven't been tested on animals as some may have been for medical (not cosmetic) purposes. Brands that don't sell in China are sadly not as easy to find as you may think. It's not all wonder though - this can oxidise, if in doubt go a shade lighter as this tends to darken with age. This seems to vary from tube to tube as does it's tendency to seep from the lid slightly when you screw it closed. There are limited colours available in this would be lovely to see a wider range. I'm usually a medium 03 - for me to be a medium in anything should tell you how small the colour range is. That being said I have the entire colour range in my kit. It's a good reliable concealer - can cover most things blends well and incredibly easy to work with. Having just written this I've seen I have reviewed it. The original review is here. I'm an idiot. to visit this site, it contains useful Information.